We talk a lot about the importance of birth control, family planning and reproductive rights on our platform, because here in the US, there are a number of ways in which women’s healthcare is under attack from legislators who want to impose their own ideologies onto society. When women do not have easy access to vital healthcare is can spell disaster. It is said that a healthy population plays a major role in a country’s economy, stability, and social development. And while we have many battles to fight in the US, in other countries, the situation is even more dire. Pakistan has the third highest mortality rate across Asia behind Afghanistan and Timor-Leste. The World Health Organization reports that 99% of all maternal deaths occur in developing countries, but the saddest part is this is an epidemic which is mostly preventable. The problem is access. With the right pre-natal and antenatal care, as well as medication, proper information, and vital family planning tools to prevent such atrocities like unsafe (and in some cases, fatal) abortion procedures, many women’s lives could be saved and even prosper. It is one of the 17 Sustainable Development Goals which were created to end global poverty. 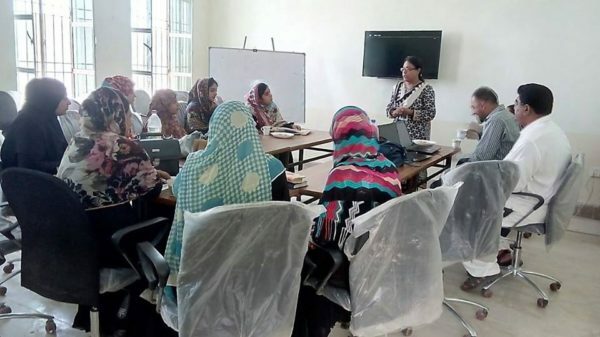 Thanks to the actions of a non-profit organization called Health and Nutrition Development Society (HANDS) based in Karachi, there is a group of a women who are determined to reduce the rate of maternal deaths and ensure women in rural areas of Pakistan are a thriving part of the economy. These women are part of MARVI – Marginalized Area Reproductive Health Viable Initiative, who go door to door selling contraceptives and distribute vital information about family planning. They also hand out free samples of condoms, birth control pills, and intrauterine devices to help women understand the benefits. HANDS trains the women, who are rural village dwellers themselves, because they understand the communities and their needs best. NYC-born independent journalist Sabrina Toppa, who is based in Pakistan and has conducted on-the-ground reports for major news media outlets throughout her work in Asia, researched and wrote about the women of MARVI for the Guardian. Along with taking some captivating images of these local heroes, Sabrina shared some of their personal stories and why they choose to do work which can potentially put some of them at risk. “In our village, there was no information about family planning. 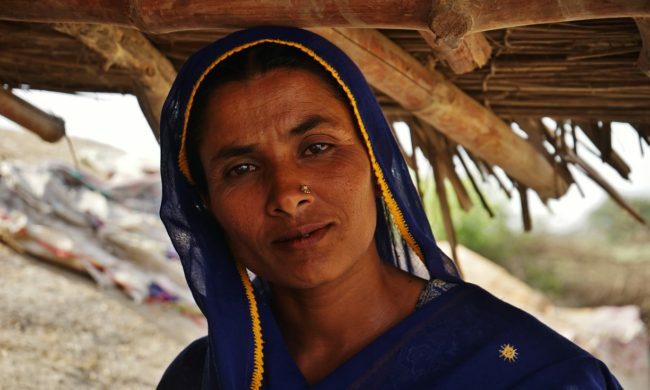 Many women died during childbirth,” 25-year-old Samina Khaskheli, who lives in Allah Bachayo Khaskheli in the south-eastern Sindh province, told Sabrina, as written in the Guardian article. Because of the high poverty rate in many of these rural areas, it is common for women to join the men in the fields tending to livestock and helping out with farming duties. However, without access to birth control and family planning methods, an increased number of children can prevent women from becoming a a vital source of finance for her family. The government of Pakistan does fund a number of Lady Health Workers to service certain areas, but an estimated 30% of the country is not covered by this program. Today there are approximately 1600 MARVI women filling in the gaps where the LHW’s do not reach. What the MARVI women are doing is super important, because only 35% of women aged 15-49 use contraception, out of a total national population of 190 million. Added to this is the fact that women in rural areas are currently giving birth at a higher rate than those in cities, and the problem is compounded. “In villages, electricity is not there and health facilities are not there, but the need for contraceptives certainly is,” said Dr Talat Abro, the deputy secretary of reproductive health service for Sindh’s population welfare department. 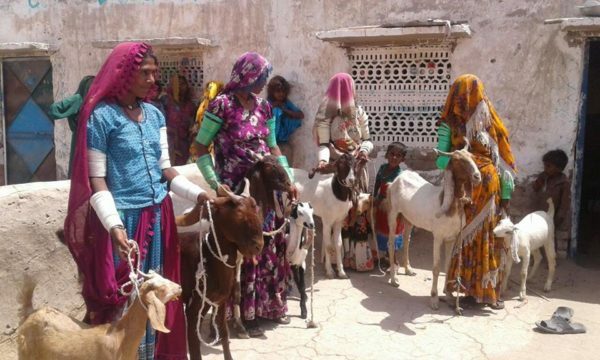 By participating in the MARVI initiative, which requires a 6 day training, these women are making a major change in the rural Pakistani socio-economic landscape. One of the women who journalist Sabrina met, Azima Khaskheli, a 45 year old livestock breeder from Allah Bachayo Khaskheli village, says she wishes she knew about birth control when she was 15. 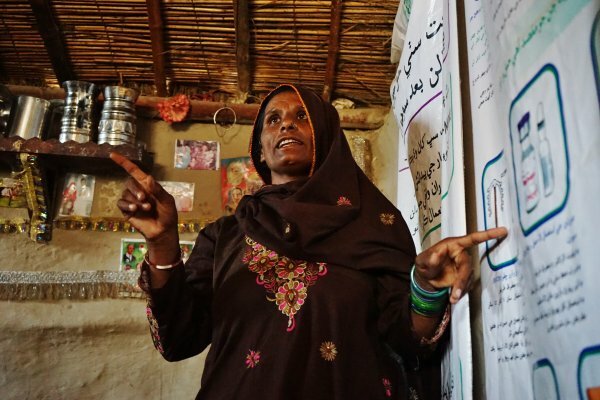 When a Marvi worker initially came to her home to give her important information about family planning, even her husband thought it was a good idea, because he needed her to bring in an additional income rather than continually be occupied with childcare duties. Now women like her who distribute the birth control, are able to earn some extra money while choosing the size of their family. It is important to note that the HANDS organization are not trying to prevent childbirth altogether, but instead give women and their husbands options to plan how many they want in accordance with their own financial needs. “We are not trying to limit the number of children – a woman or a family has a right to choose as many number of children as they want, but they must keep in mind the pregnancy period is important for a woman’s health,” said Anjum Fatima, the general manager for health at Hands. The majority of opposition to the distribution and use of birth control initially came from religious leaders, so the MARVI women were taught to be sensitive to these communities. But in time even the most conservative families and leaders were agreeable with the benefits of reproductive healthcare and family planning. “Before the culture was rigid, but now they’ve gradually accepted family planning. I am proud I can teach women about both the Qur’an and birth control,” Samina Khaskheli told Sabrina Toppa. OK America, if even the most rural, conservative communities in a developing country like Pakistan is able to take action in favor of women’s healthcare like this, it’s high time we stop fighting over morality and looked at the issue of family planning and reproductive rights from a practical, economic and social aspect. There is a lot we can learn from the MARVI women, and we are incredibly inspired by the work they are doing.